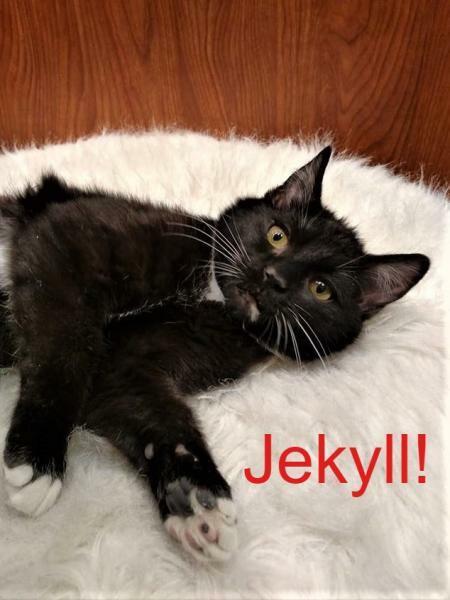 Jekyll | Spay and Save, Inc.
My brother and I were found in a UPS warehouse just before Christmas. We were frightened and ill. A kind UPS driver trapped us and took us to the vet hospital where a Spay and Save Volunteer works. After a few weeks of TLC we are now healthy and sweet. We love attention and would adore having a home like yours! You have to meet us and pet us to find how thick and soft our "short" coats really feel.